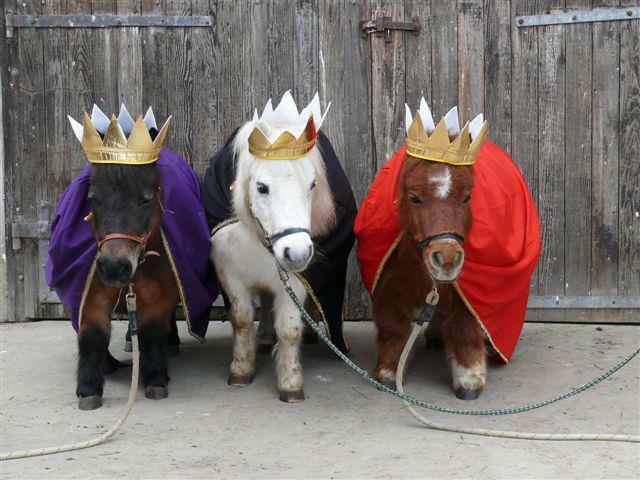 6th JANUARY - The THREE KINGS DAY or Feast of the EPIPHANY . .. love this photo . . . .reminds me of my ponies I had for my children . . .who used to dress them up . . . .I even knitted overalls for our ponies for costume classes in local horse shows . . . . Noodles and Macaroni . . .how we loved them . . . .yes - for sure . . . if Id had triplets instead of twins the other would have been called Pasta . . .all 3 year olds favourite food -right?